Battlerite is a good time. For a MOBA/Brawler, it is easy to pick up and filled with fun champions. Tomorrow, the roster will expand a little more during the game's Halloween update. While the update will include limited time holiday content, the real thing to know about are the two new champions. The first is Jumong. We've know about this champion for a little while but the wait is over. 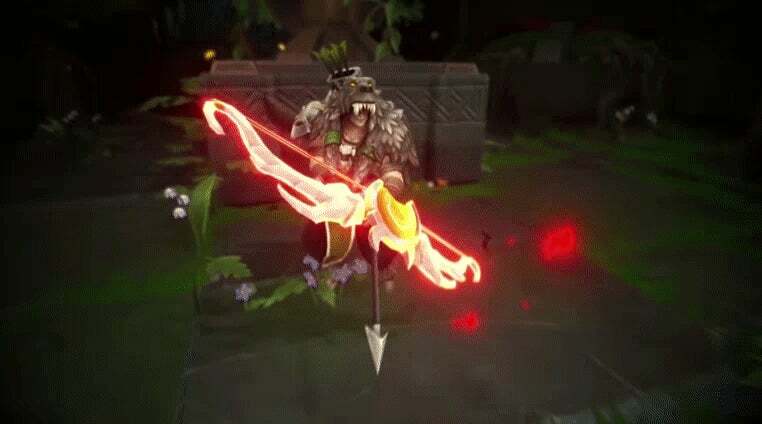 Jumong is also called "The Beast Hunter" and appears to be a ranged focused rogue type with some stealth for positioning and escape. They will be joined by Ruh Kaan, a scary demon dude with a skull head and bad temper. Ruh Kaan is known as "The Crypt Warden." They have a melee focus and shadow powers. It's unclear if it is an ultimate ability or not but they also can transform into a super buff shadow beast that will find you and totally rip out your spleen. Both characters will arrive in tomorrow's patch. I'm excited to see what they bring to the game even if I think I'll probably continue to main Croak.